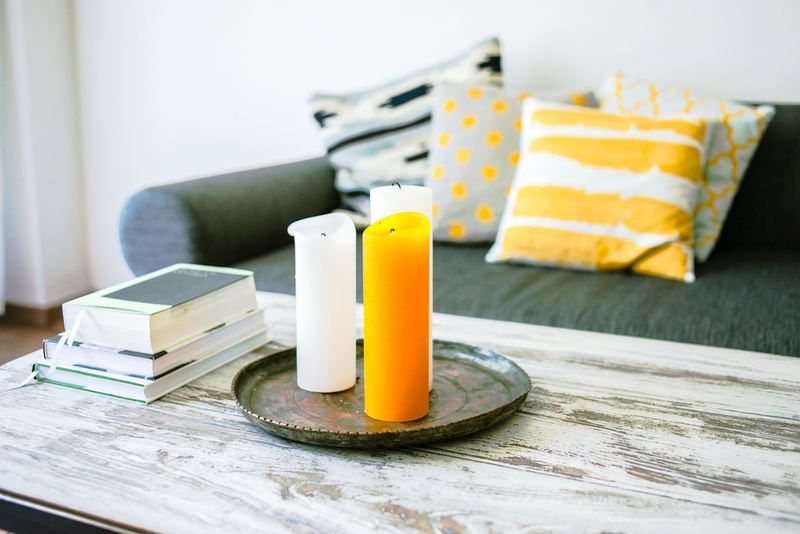 Blogging Beautifully: Brighten up your Home this New Year! As we near the end of another year and welcome in the next, it’s time to start thinking about your New Year’s Resolutions. Whether you are a resolution trendsetter or prefer to set your goals in private, one thing’s for sure – in 2018, it’s time to ditch the same old resolutions and go for something different! After all the extravagance of the festive period, January can seem like a very dull and bleak month. From post-Christmas financial worries to the bad weather and freezing temperatures, it’s no surprise that for many, this is the least exciting month of the year. For that reason, there’s no better time than the present to take a look at your home and consider a redecoration project to tackle this January! From simple, quick and easy updates to more involved longer-term projects, there are plenty of different ways in which you can introduce an element of positivity and light to your home this New Year. Are you in need of a quick fix or simply looking for a budget-friendly refresh? 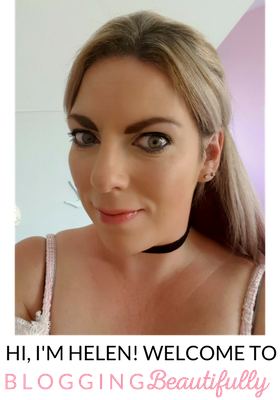 Sometimes, it is the simplest details that really do make the biggest differences, so if you are feeling the after-effects of the post-Christmas pinch, don’t feel as though there is nothing you can do. A bright bouquet of seasonal flowers displayed in your favourite vase is always a great go-to, but if you fancy something else, there are many more ideas for small ways to update your home. 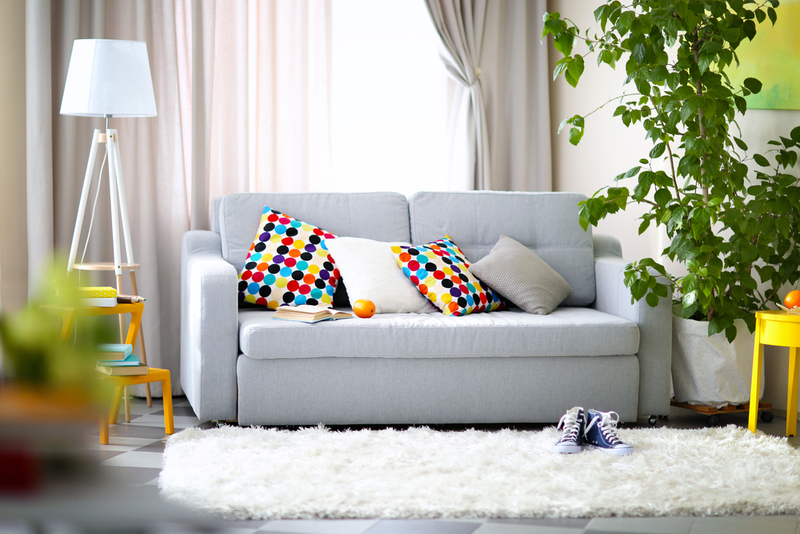 Some new cushions or a rug will always work well, but for the ultimate thrifty refresh, you could simply try rearranging your furniture in a new configuration for a new look without having to spend a single penny! Bright colours and bold designs will do wonders to improve your mood at any time of year, but they will be particularly effective during the dreary winter months. Counteract the grey skies and dull dreariness outside with your very own rainbow of colour inside for the ultimate bright look. Of course, everything is better in moderation, as a complete colour overload is likely to ruin the overall aesthetic and leave you with a headache, so choose wisely and go for complementary, pleasing shades. Your walls and carpet are a great place to start, but if you would rather focus on the furniture, why not go for some patterned curtains or a block-colour sofa? For the budget-conscious interior designer, some complementary cushions, a statement lamp or your favourite photographs or prints will still work wonders. If you feel like your home is looking a little tired or outdated, it may well be time to consider a whole new look. Even just putting the focus on one room in need of an update can be a brilliant way to breathe a new lease of life into the house – the perfect antidote to the grey skies outside. One area of the home which is often overlooked is the staircase. The transition point between upstairs and downstairs, refreshing the look of your stairs is a perfect way to improve the look and feel of the entire property. If you don’t have the budget for a whole new staircase, have you considered updating smaller parts of the whole? Stair cladding or a mopstick handrail in attractive pine tones will be sure to make an eye-catching, polished addition to your home. Are you feeling inspired yet? When it comes to warding off the January blues, there really is no time like the present to get involved and get busy updating the look of your home, ready for the rest of the year ahead! I really like that bright candle as a way of adding colour.